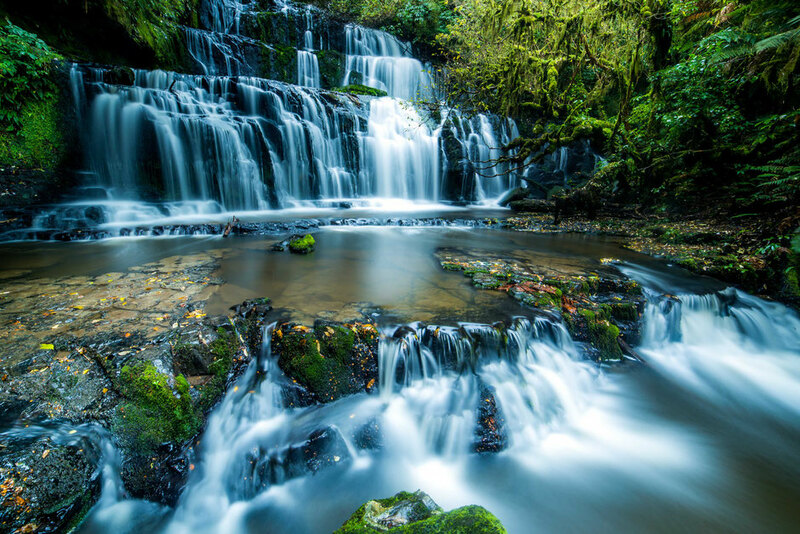 If you ask me what the ultimate road trip destination is, I wouldn't have to think twice. 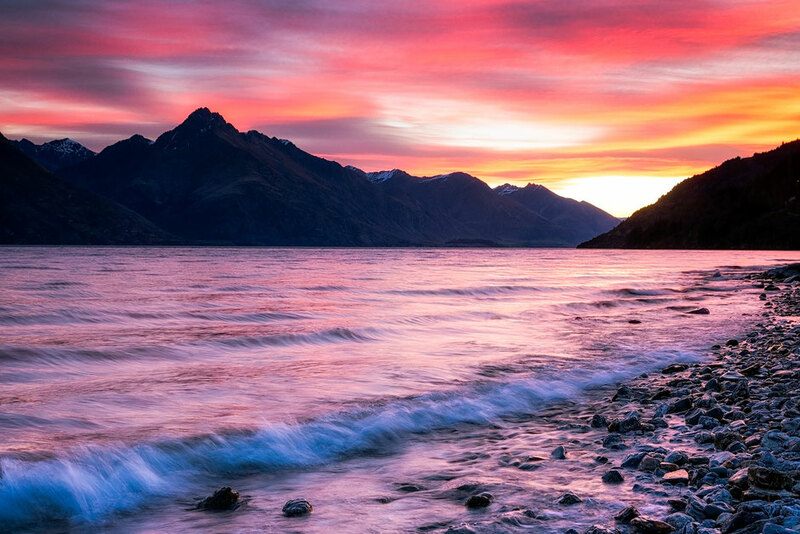 New Zealand of course! And what's better way to do a road trip than in a campervan? I have friends that visited who loved every second of living in a camper and some who absolutely detested it. Admittedly though, they didn’t know what they were getting themselves into and did little research beforehand. 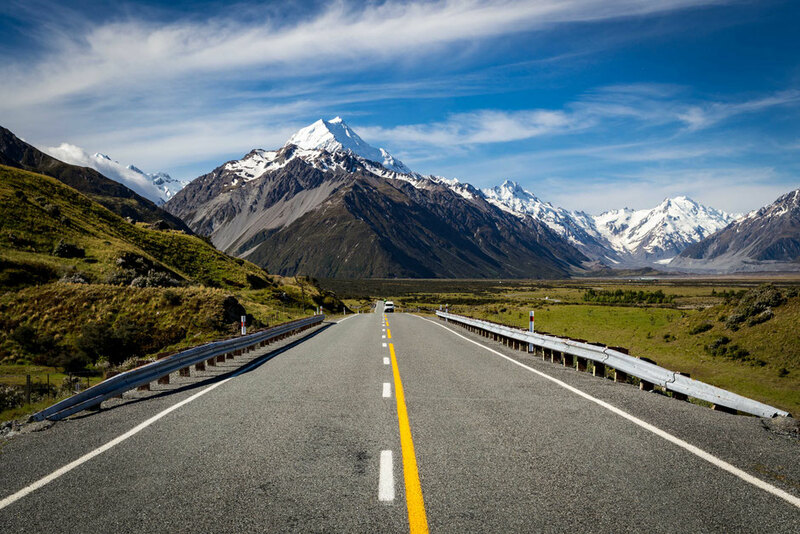 Since the publication of my free online New Zealand Travel Guide I receive emails from you on a daily basis often asking about tips on travelling in a motorhome in New Zealand. 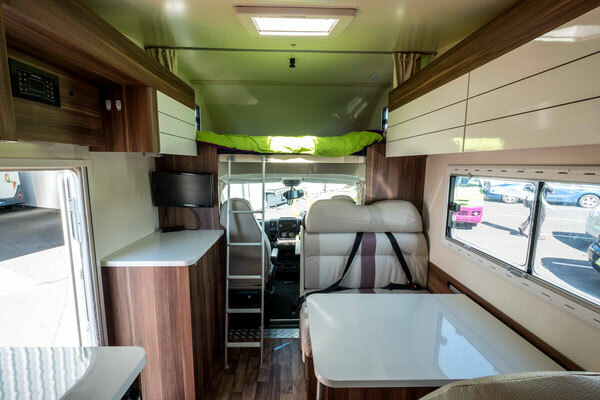 After roadtripping across many different countries and even buying my very own campervan recently I can say with confidence that I have learnt the ins and outs of motorhome travel. 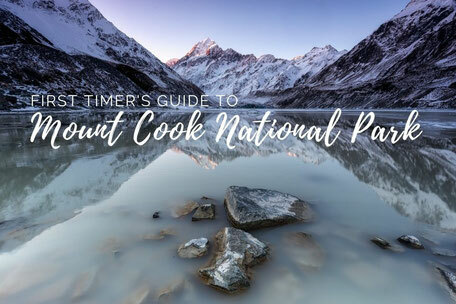 Today I will finally share those tips with you, along with few photos to make you excited about your New Zealand trip! Believe it or not you can’t just park overnight anywhere. The same parking restrictions apply regardless of the vehicle you are in. However, parking spaces are much easier to find, the smaller your vehicle. There are often designated and signposted motorhome parking spots around tourist towns. I am not going to sugarcoat it though, in the high season they are pretty much always taken. So just remember the bigger your vehicle, the more comfortable you’ll be, but it will limit you on your parking options. Getting to your destination early is essential if you don't want to drive around looking for a parking spot. 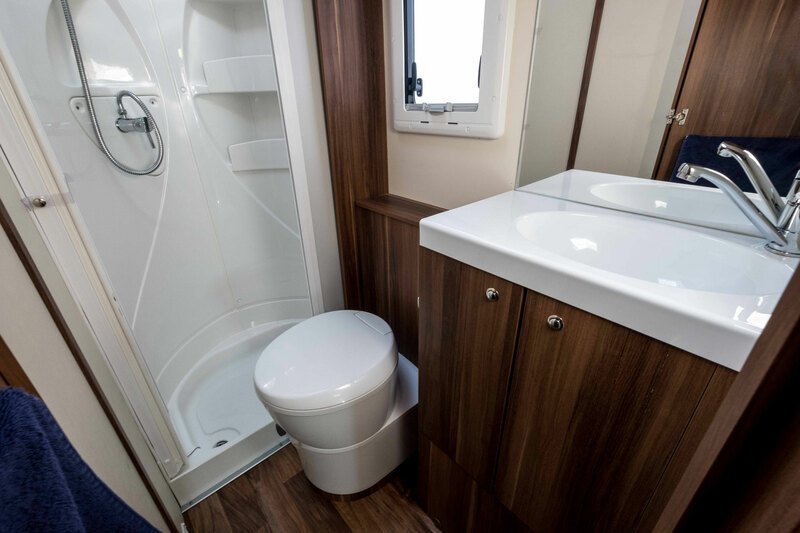 Vehicles that are self-contained, meaning they are equipped with a toilet, will have to be emptied regularly. Every time you flush the toilet, whatever was in the bowl is stored in your vehicle and has to be disposed of in the correct location. 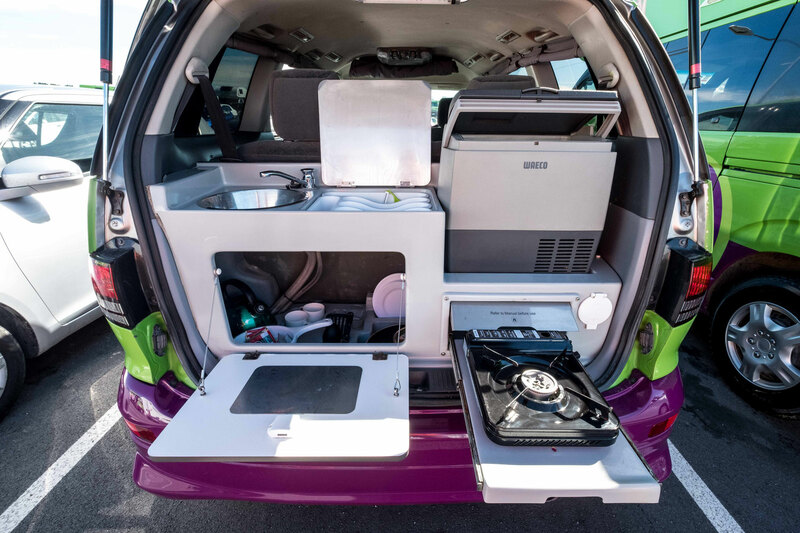 Dump stations are found at many campsites and road side pull outs and for the most part, are free of charge or included in campsite fees. 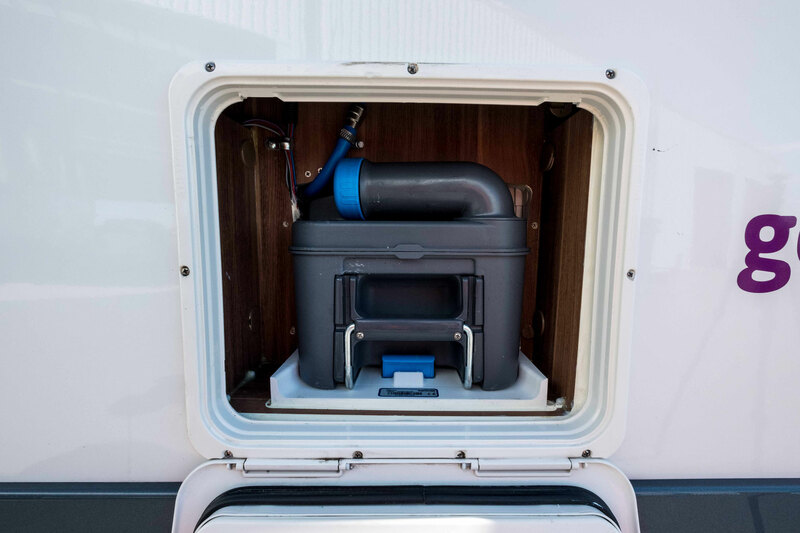 Different motorhomes have different processes for emptying your ‘black water tank’. I won't be getting into it here. When picking up your motorhome you will be shown how to do it. Make sure to ask any questions you may have! It’s not a pretty job but absolutely necessary if you want to keep using your toilet and keep your van stink free! Don't worry, it's not as bad as it sounds and you won't have to do it every day either (unless you have some serious bladder problems). Personally, I’ve mostly avoided using mine as there are public toilets, cafes and campsites everywhere. I only really used it at night when I was too sleepy to go outside, oh and never for number 2! 3. To rent or to buy? This is a tough one which pretty much boils down to one thing. 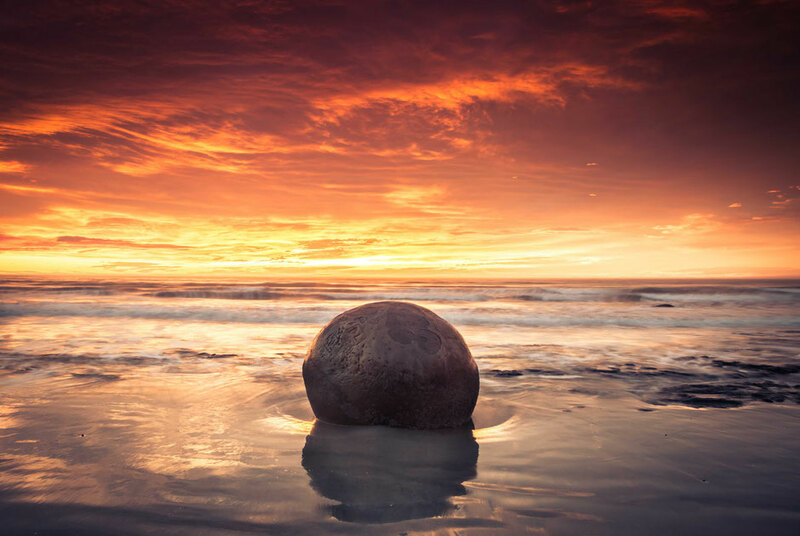 How much time in New Zealand do you have? If you are buying a camper expect to spend at least a week beforehand looking for one, purchasing, registering etc and then up to a month on the end of your journey trying to sell it. Do not fall into the trap of trying to sell your vehicle at the end of summer. Trust me, you won’t, or you will, but only for a fraction of price that you bought it for. People don’t buy cars at this time. You’ll have no problems selling your car at the start of NZ's summer though! Buying certainly poses more of a risk but can be rewarding. If you can sell the vehicle for almost what you paid for it then effectively you’ve just had an almost free rental. If you can’t sell it then you’ll have end up spending much more than a rental. Rentals are way easier and have no risk but are more expensive. 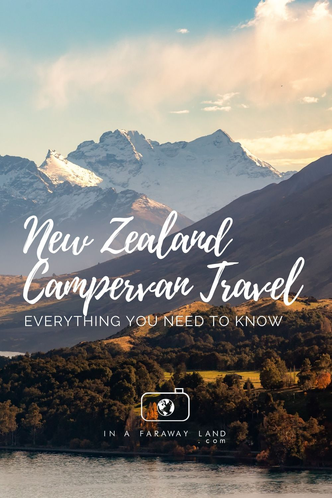 Depending on the season, cheap campers can go for as little as 25NZD a day but in the summer expensive motorhomes can be more than 500NZD a day! 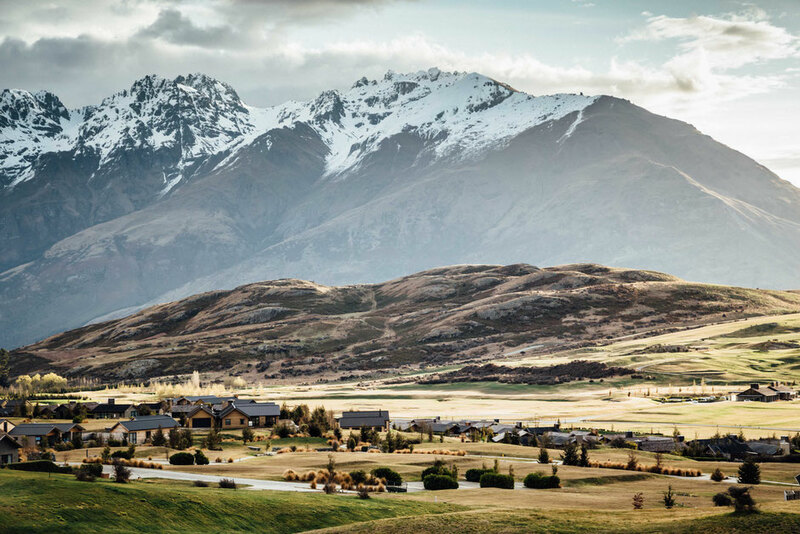 I reckon unless you plan on travelling in New Zealand for at least 2-3 months don't even bother with buying and just rent instead! Being self-contained has many more advantages than just going to the toilet whenever you want. In most towns there’s often free of charge self-contained parking lots where you can stay overnight. Let me say that again. Free of charge. You will find it hard to find free overnight parking lots if you are not self-contained. Non self-contained vehicles are, for the most part, restricted to staying in paid campsites with toilets. Campsites can range from 5$ to 50$ per person per night depending on the facilities and location. This should also be factored into costs when choosing between a self-contained versus non-self-contained vehicle. Self-contained vehicles will be more expensive but could potentially save you from further campsite costs when you are on the road. 5. What size should I pick? 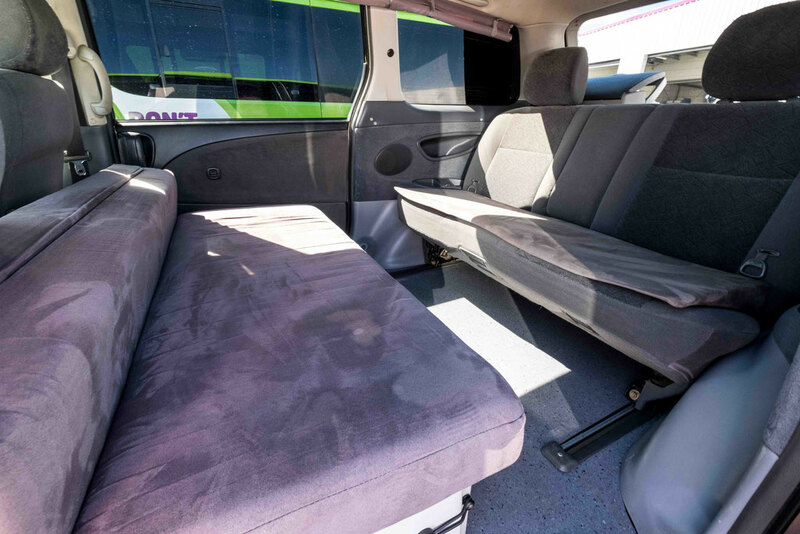 I’ve been in everything from a tiny two person van to a 5m luxury motorhome and whilst I was certainly more comfortable in the latter, it did cost more and was harder to park/drive. Although, not as hard as I thought it would be. 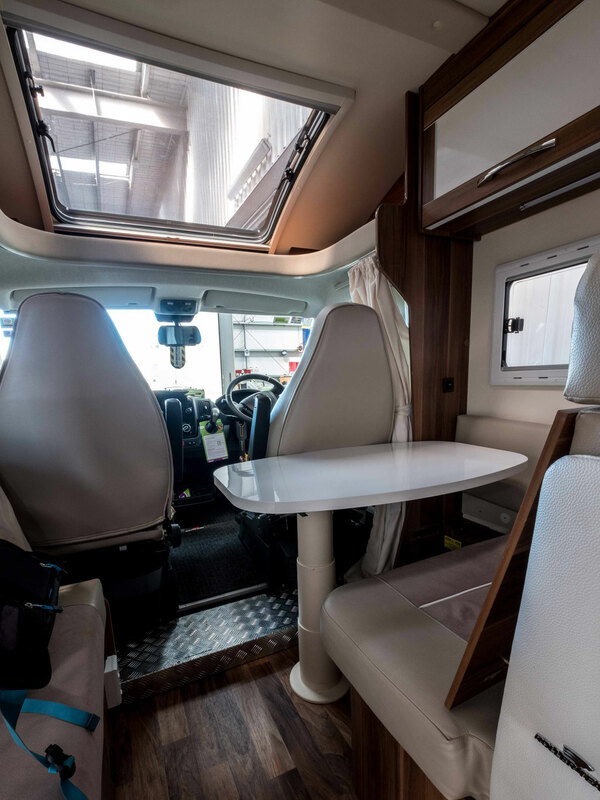 Big motorhomes are also designed to sleep 4, 5 or even 6 people, so if you’re travelling in a group this can be advantageous as you can split the costs. 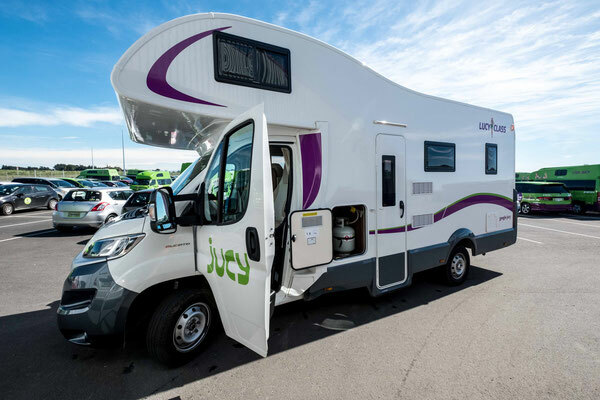 If you are a family looking for a motorhome this is an ideal option. 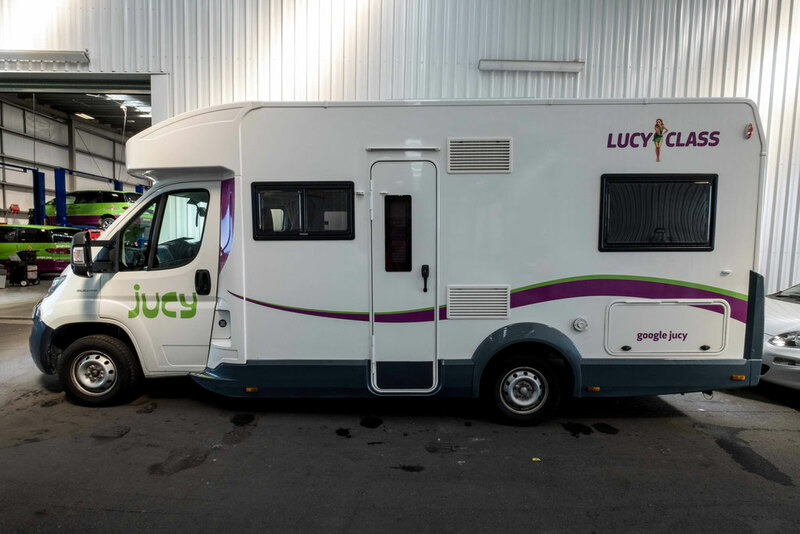 I went to the Jucy headquarter in Christchurch to photograph their fleet to give you an example of what you can expect from each different size. 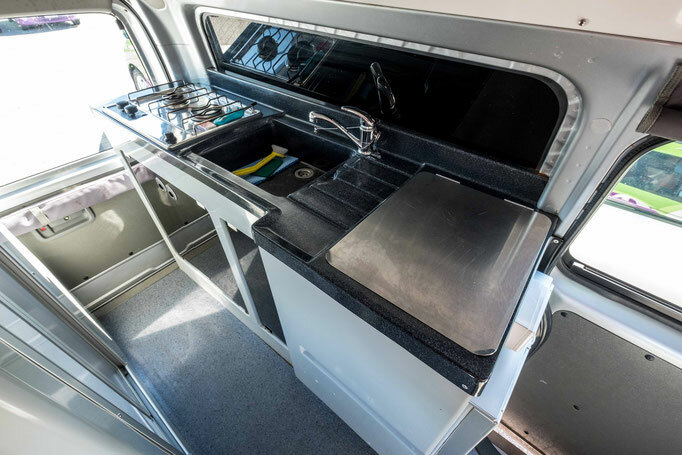 From the cheapest and smallest option you can expect a bed with some storage and a fridge underneath (roughly 0.04m3), cooking equipment but no kitchen, portable stoves, a fold out table, camping chairs and a couple USB charging ports. Nothing flash but certainly enough to survive. Usually included is a 10L or 20L fresh water tank. Cheaper companies will have older models with more kilometres but all vans should be really well maintained. 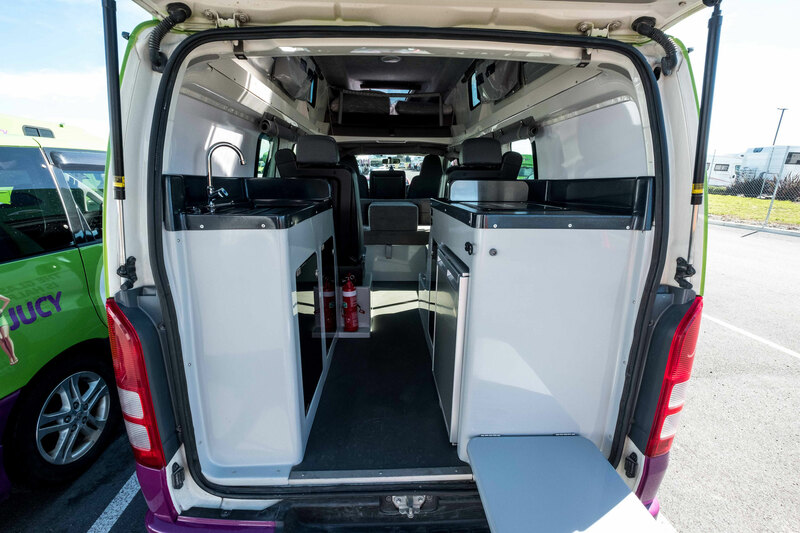 A two birth luxury van will include everything that’s in the smaller sleeper van, but will also have a kitchen. The kitchen will usually include 2 hobs, a sink and therefore a grey water tank that will have to be emptied. Some extended versions will have a porta-potty toilet and even a shower! In my eyes the toilet in a small campervan like this, is not intended for use, but only for the self contained certification which permits use of many free parking lots. Another huge plus is that normally they are high tops so you can stand up inside. Absolutely great on a typical rainy day in New Zealand. Often these will be described as 3 berth but realistically it’s big enough for 2 adults and a child or 3 smaller adults. 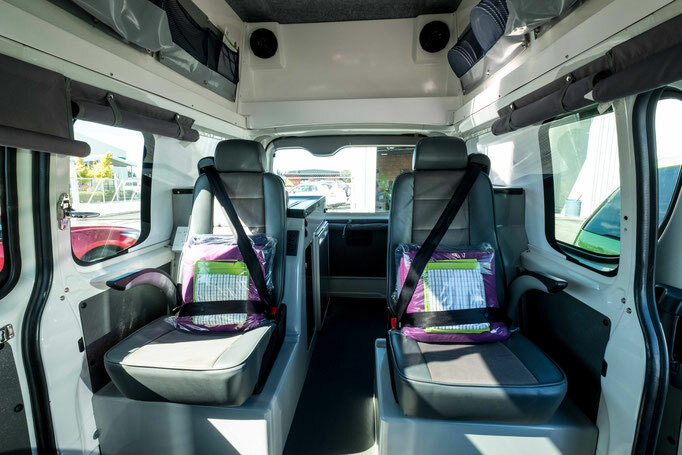 As you’ll be paying more for this option normally they are newer vehicle, that are more efficient per person and have done fewer kilometres. They will include everything you need including two double beds. One of those beds will be formed from a day use sitting area and a platform. Not ideal for an elderly or for those with back problems. The big 4 berth motorhome will have toilets and showers in a separated space. The kitchen will also be equipped with an oven and you can even expect a microwave. The extra batteries installed in the van might even last up to 3 days, depending on the use, but if you want to continue to use the electricity you will have to stay in a paid campsite every few days to plug in your van and recharge the batteries. 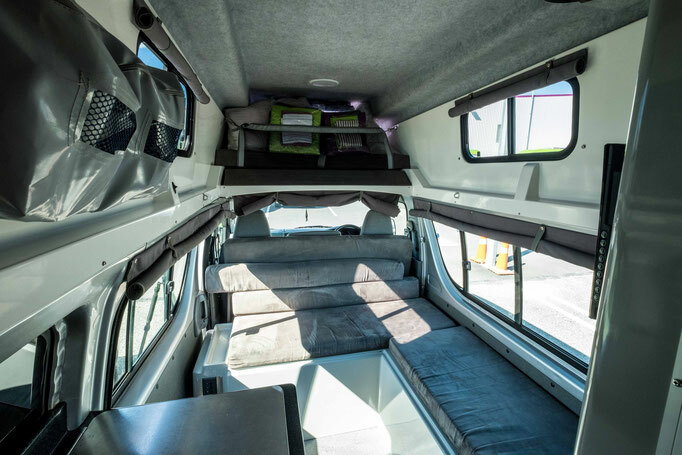 The biggest of all campervans these will be above 3m in height, and up to 8m in length and cost the most. The plus is that you can split the cost between lots of people. 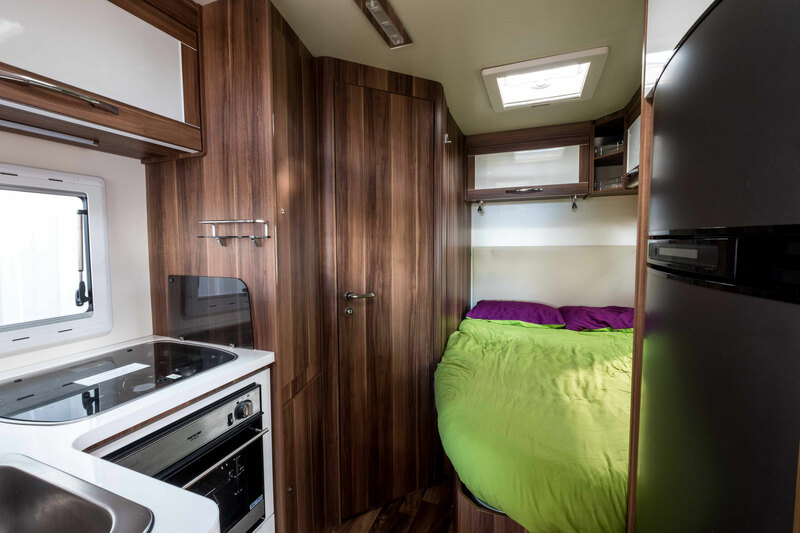 They will have fully functional kitchens including an oven, tables, seating, lots of storage, a toilet, a shower and maybe a TV. Although if you ask me I find it completely unnecessary. The views outside the car window will beat any reality show! 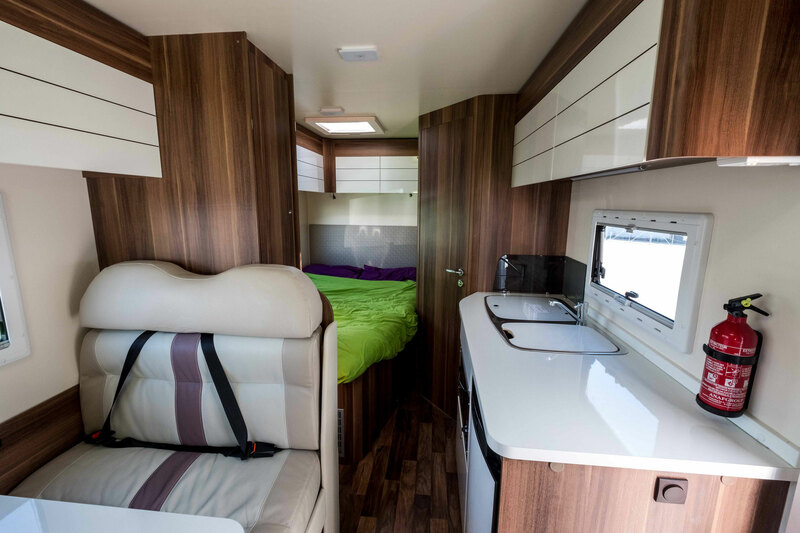 Everything you need will be inside including plug sockets, several USB ports, lights, heating and air conditioning! This is a 5 star hotel on wheels! 6. What company to pick? 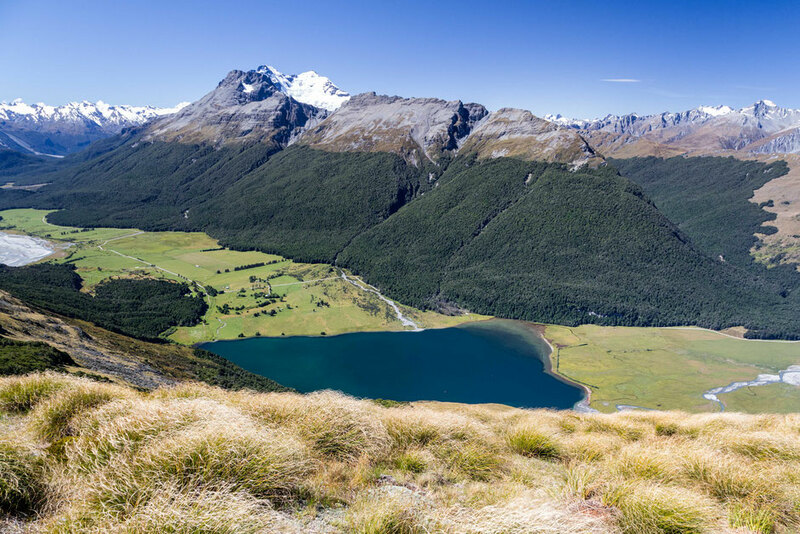 There’s loads of companies offering campers in New Zealand. 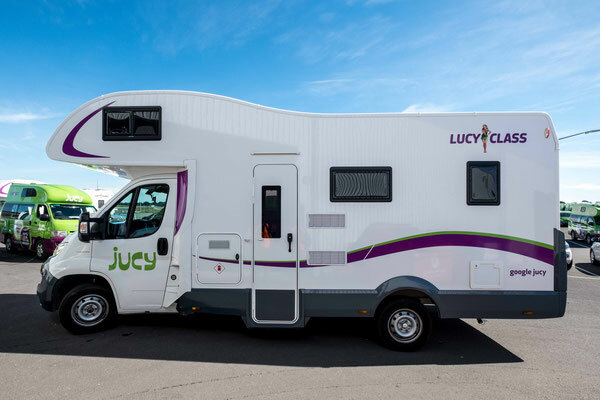 Jucy have always been reliable and well maintained, I’ve had mixed experience with Spaceships aimed at budget type travellers and would advise to stay away from Wicked Vans. 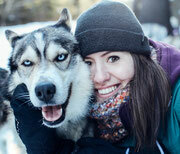 Maui and Apollo are great for larger motorhomes and are usually aimed at families. Check the reviews. Especially on what people say about customer service in negative situations such as car breakdowns. It can happen and it doesn't mean the company is bad if it does. Have you ever owned a car? They need constant maintanance and occasionally they do break! However the efficiency in which the company reacts to a potential breakdown is very important! Check how old the car is. It's tempting to get an older van, especially when the price is cheaper. Just remember that in general, the older the car is the less economical it is and the more chance it has of breaking down. In the end you will spend the same amount of money or even more, but you'll end up travelling in an old banger and the initial savings will bring nothing. Remember, generally you get what you pay for! 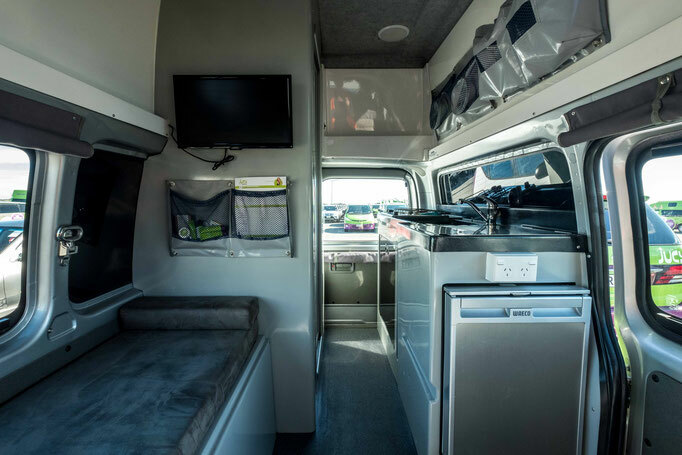 I know many people choose to travel in a campervan for the freedom it gives them. You don't have to stick to a strict schedule and can choose to stay longer in a destination you particularly liked and vice versa. However that's not always the case. 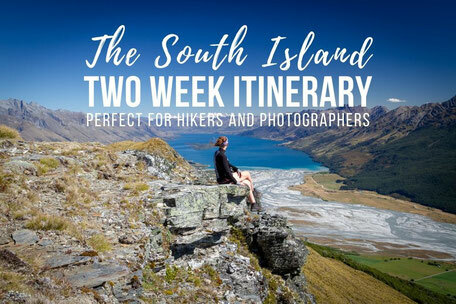 If your road trip in New Zealand falls within a busy period from December until February I would highly advise that you prebook your campsites, especially in the top tourist destinations such as Wanaka, Queenstown or Franz Josef. There's a particularly handy mobile app called Camper Mate which I always use whenever I am roadtripping in New Zealand. Download it before your trip and familiarise yourself with it. It gives you information on what campsites are available in each area, pricing, ratings and whether they are for self contained vehicles only etc. 1. Look for what deposit you will need to leave. 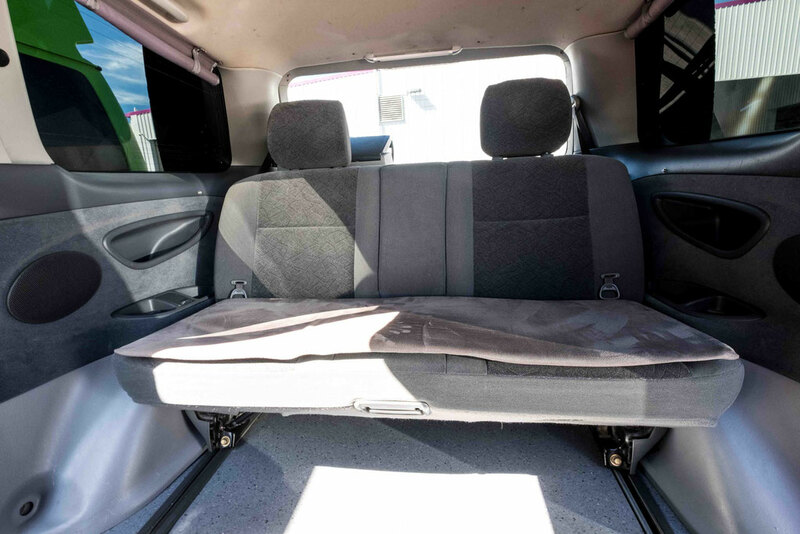 When you rent a van with basic insurance it usually involves a big excess and a big deposit. That means that a certain amount of money will be blocked on your credit card on the day your rental begins. This amount can sometimes be as high as $8000NZD! If you will be involved in an accident (your fault or not) the repairs will be covered from this amount. Anything above will be covered by the insurance (unless you breached the contract by driving on a road you weren't supposed to drive on etc). You can buy an extended insurance to lower the excess even down to 0. 2. Read the rental contract to avoid any surprises. I really shouldn't remind anyone of that, but from a personal experience i know, that many people don't read the information they are given. If you want to rent a compact car I highly recommend using Discover Car Hire search engine. Is there something I forgot to cover? 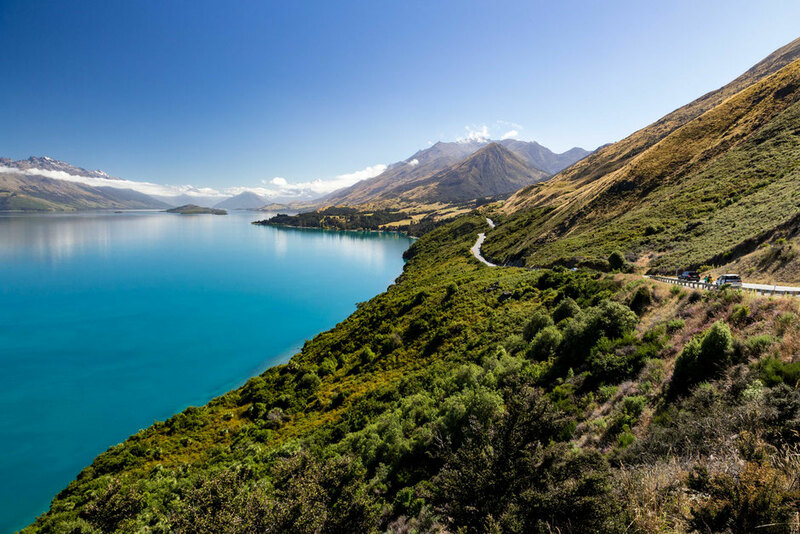 Do you have any more questions about motorhome travel in New Zealand? Leave them in the comments below! I always answer.